Hand Carved Gravestones and Memorials. 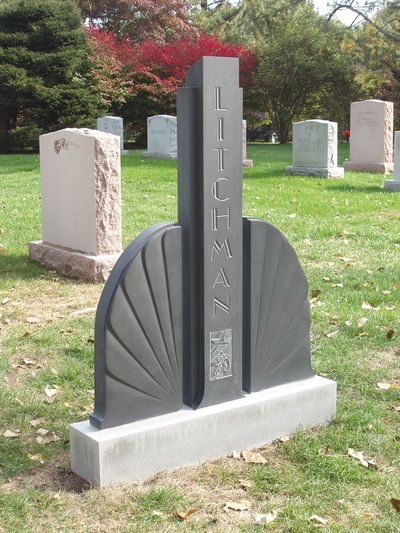 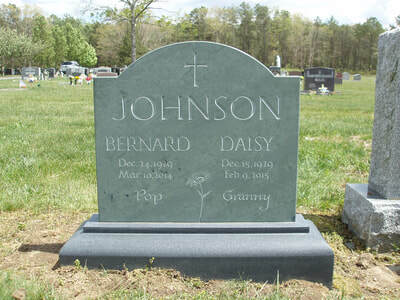 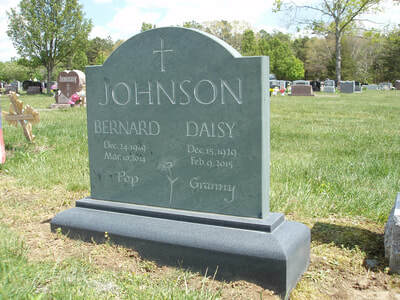 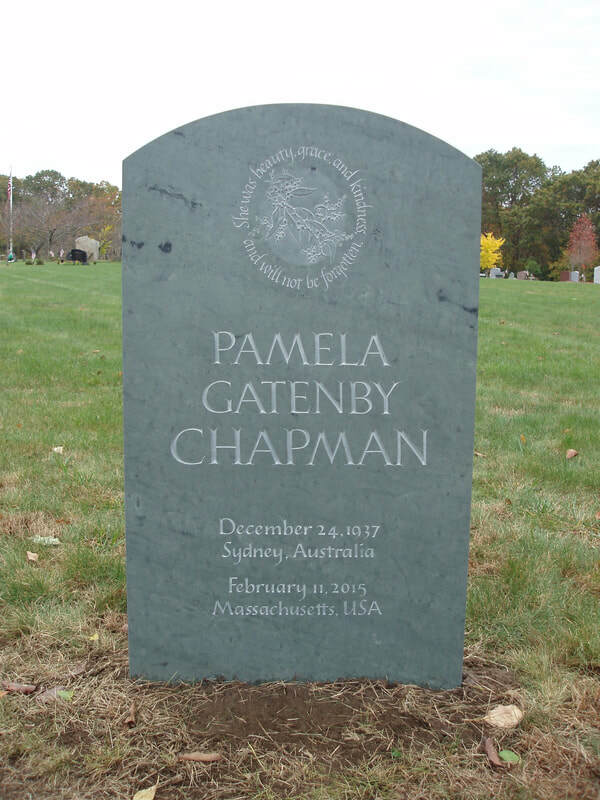 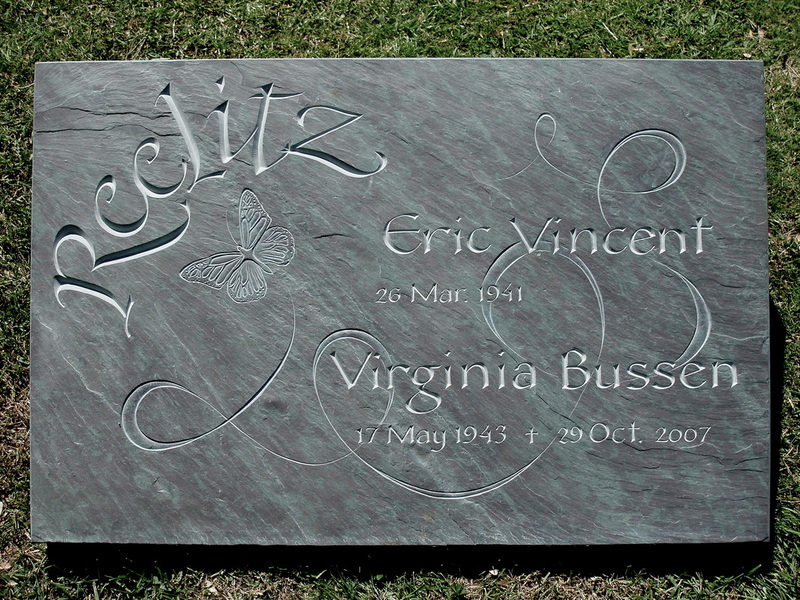 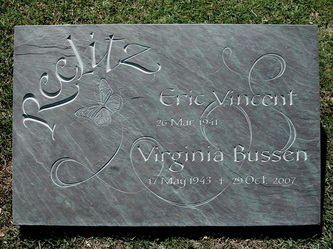 ​ Creating a gravestone or memorial is one of the most honored tasks of a stone carver. 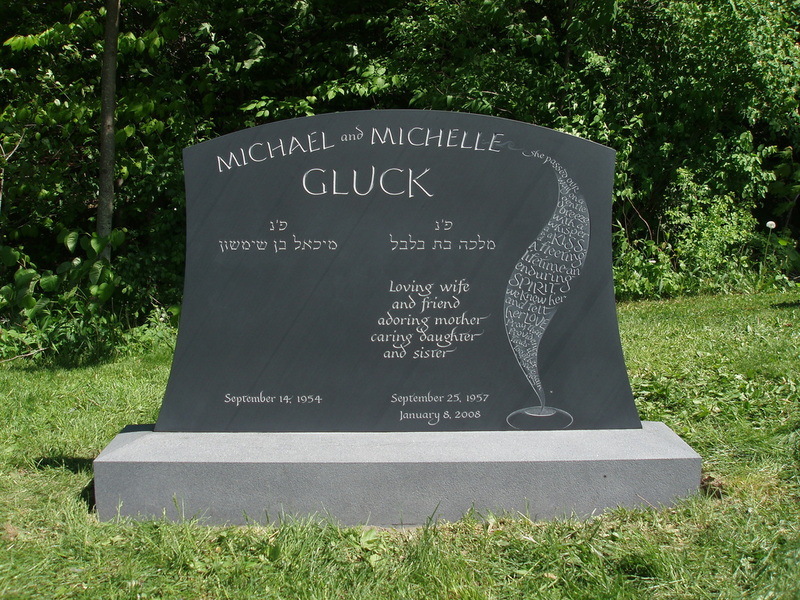 When I am asked to design and hand carve a gravestone, to celebrate a loved one and express their life in stone, I am beyond grateful. 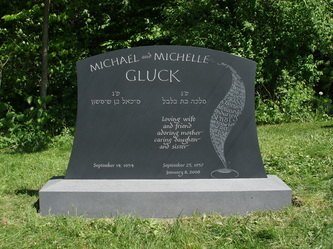 I get to be witness to this person and their family. 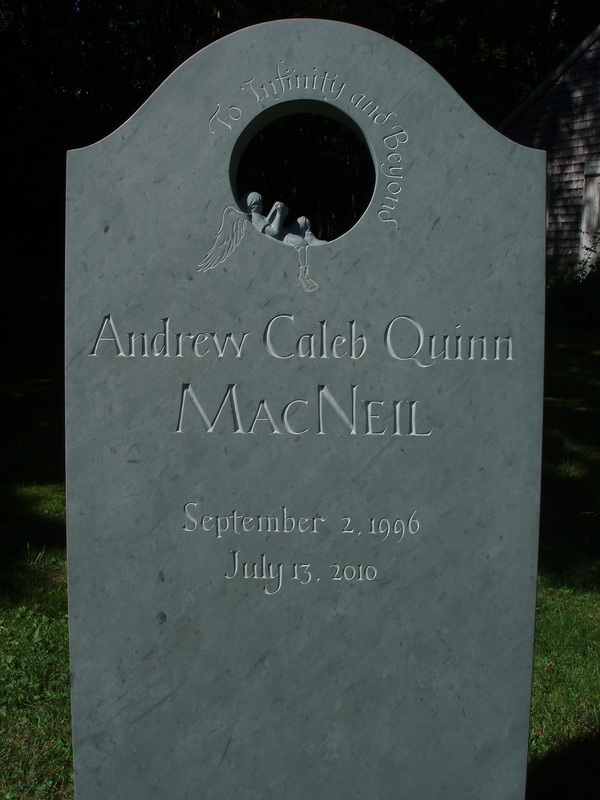 Information is transferred to me through stories, photos, laughter, and tears. 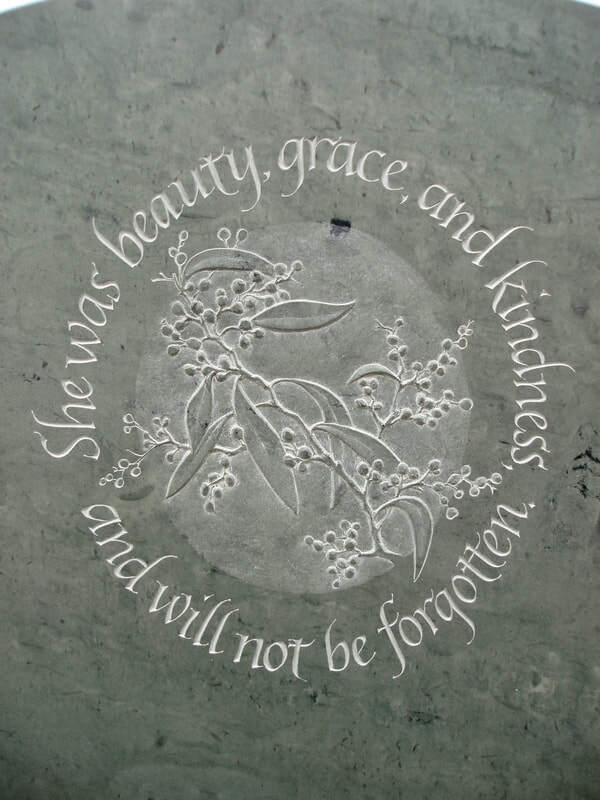 I use this energy to design and carve a loving memorial. ​ As you can see in the photos below, each one is unique, one-of-a-kind, such as each person and their life. 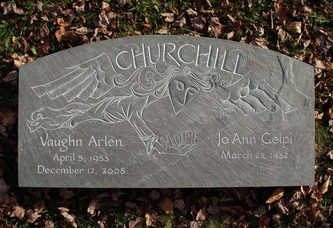 Virginia black slate, three piece, hand carved memorial set into a granite base. 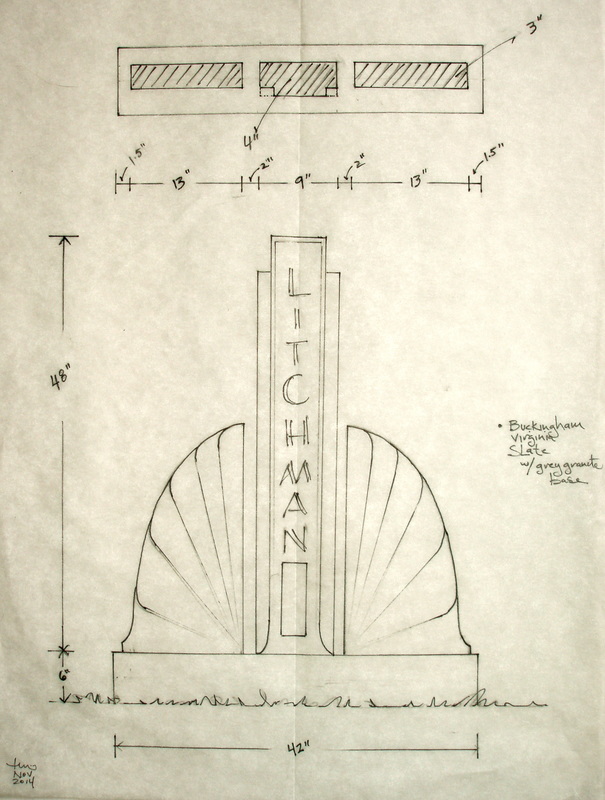 Scaled design drawing for Art Deco inspired memorial. 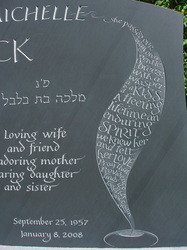 Back of Art Deco memorial with hand carved poem written by client. Green Vermont slate headstone with dimensionally carved angel. 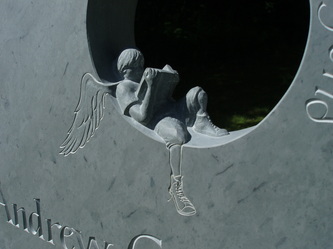 Detail of the sculpted angel carved out of the green slate. 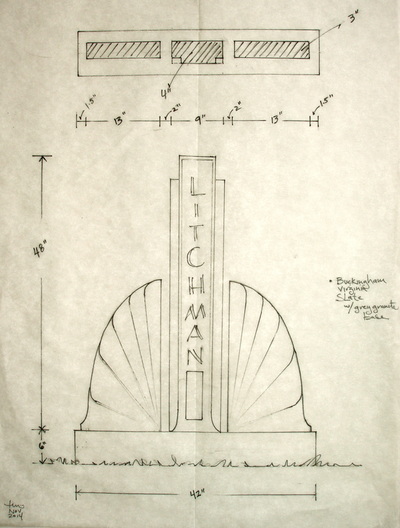 Scaled design drawing that is presented to the family for approval to begin the carving. 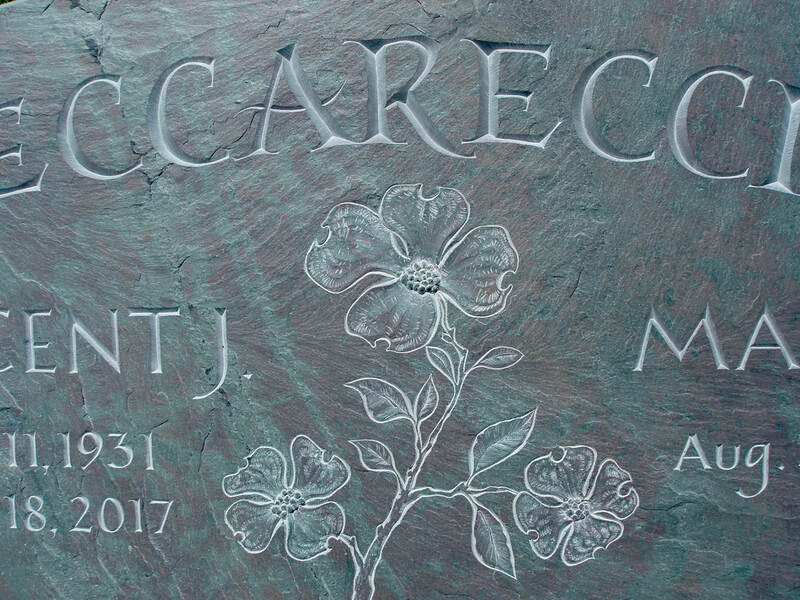 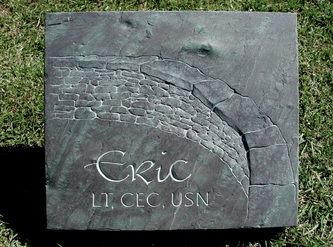 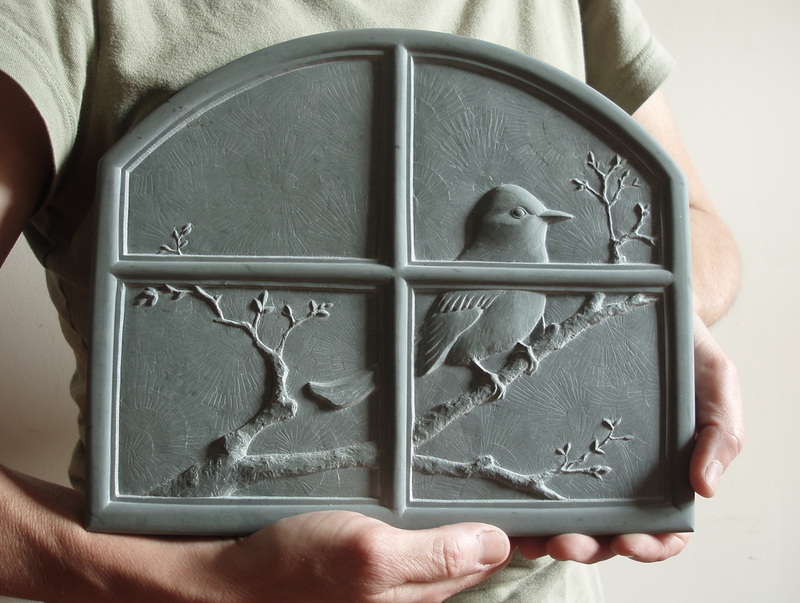 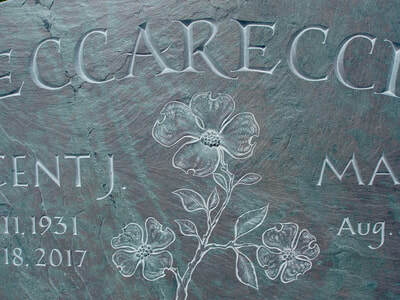 Hand carved slate memorial. The names run vertically up the face of the post. 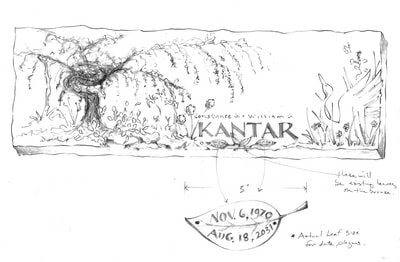 Created in collaboration with Adam Heller. 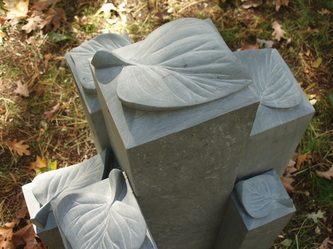 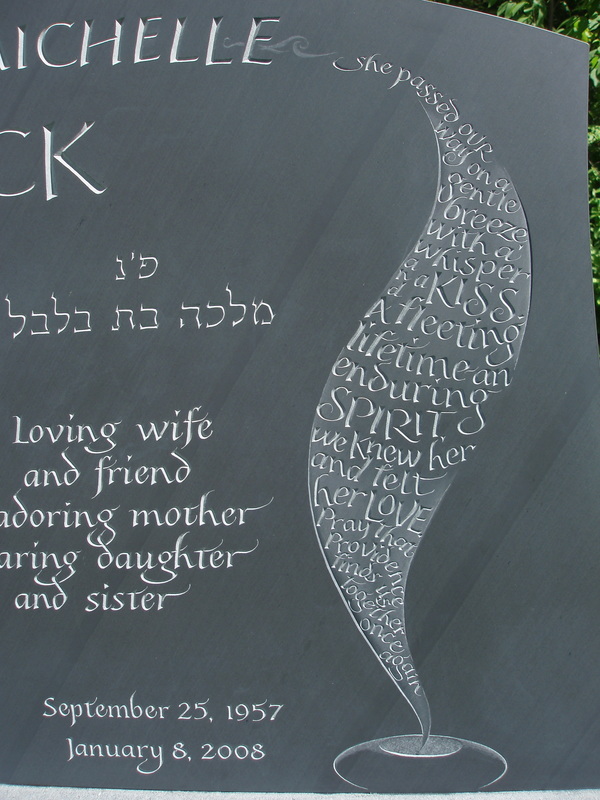 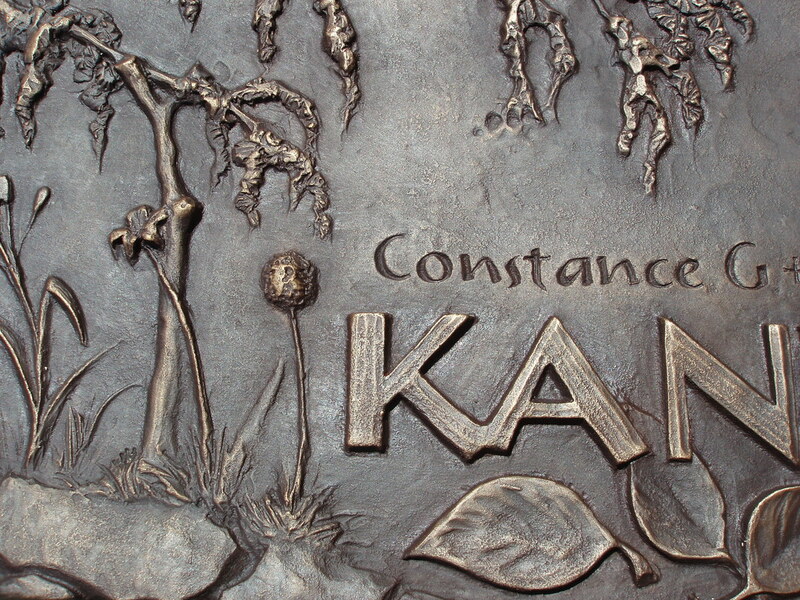 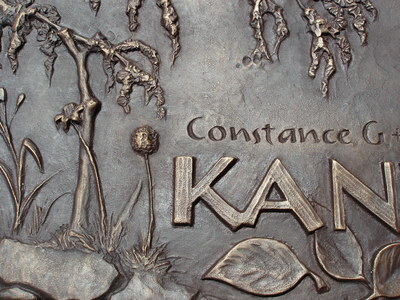 Detail of hand carved slate memorial with dimensional leaves carved on the tops. 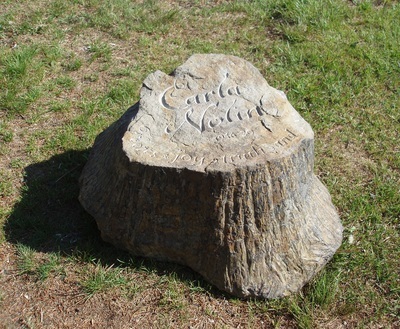 Petrified tree stump memorial. 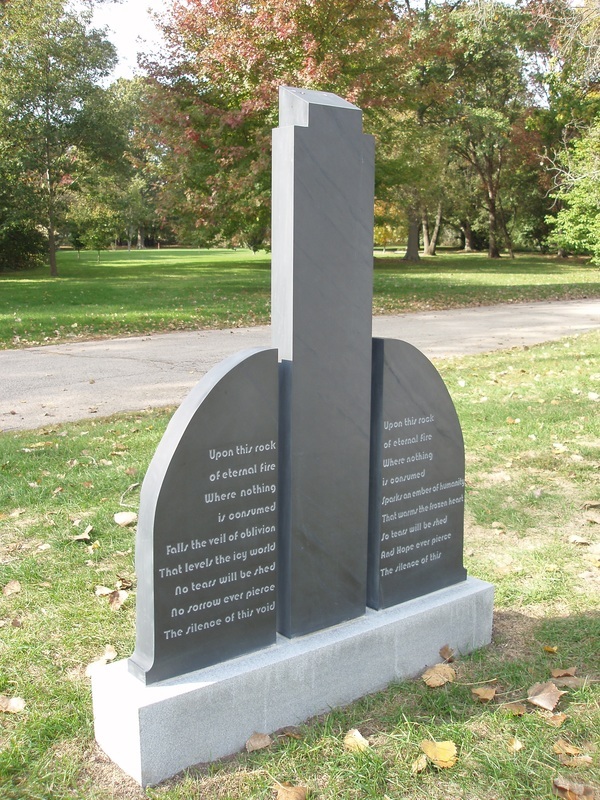 It is located in an eco-friendly cemetery that doesn't allow tradition headstones. 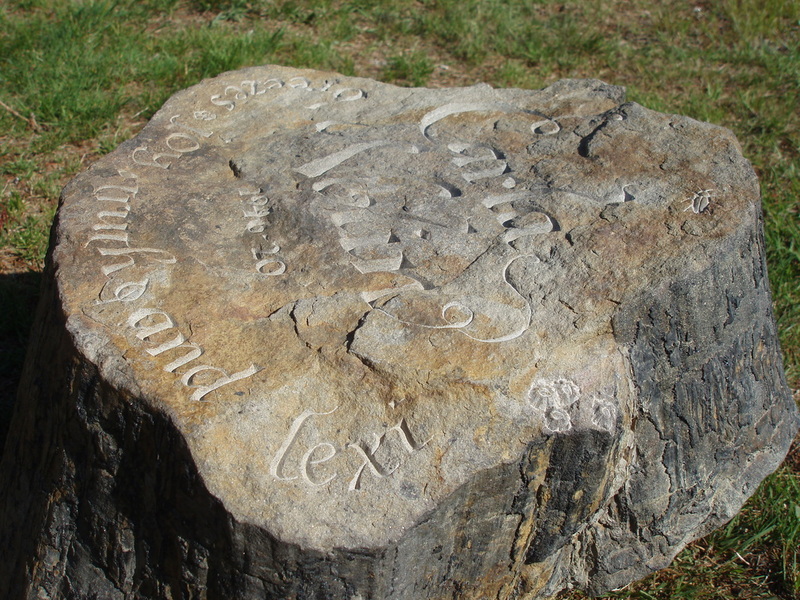 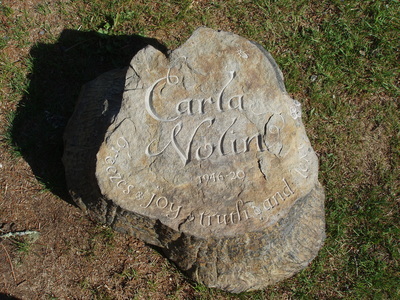 Lettering on petrified tree stump memorial. Details of bugs, barnacle, leaves, and other bits of nature adorn this piece. 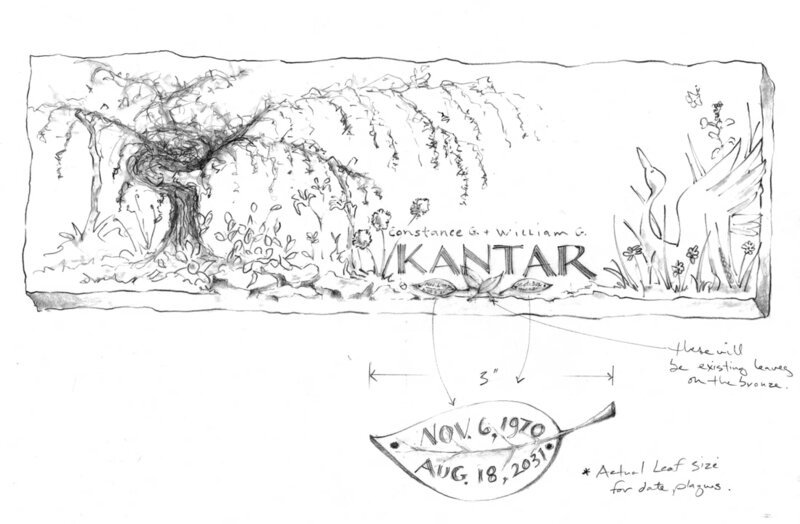 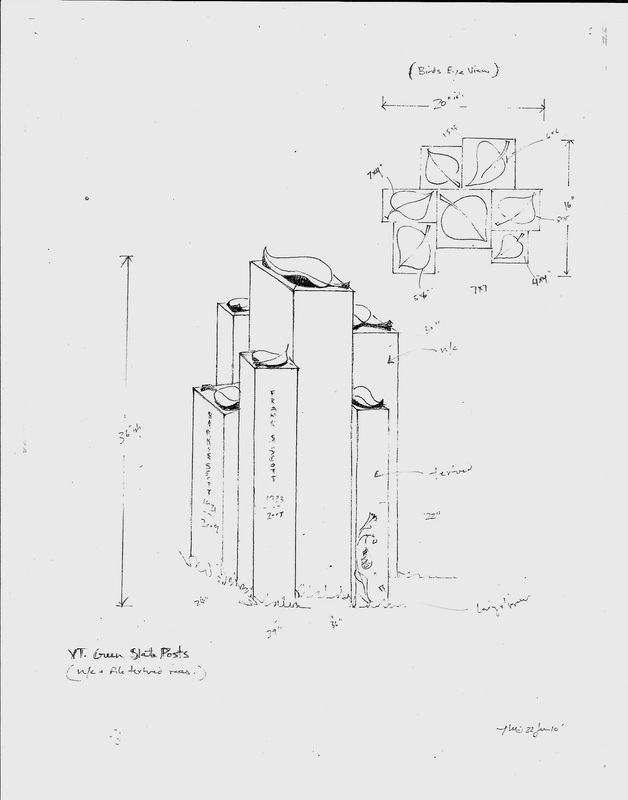 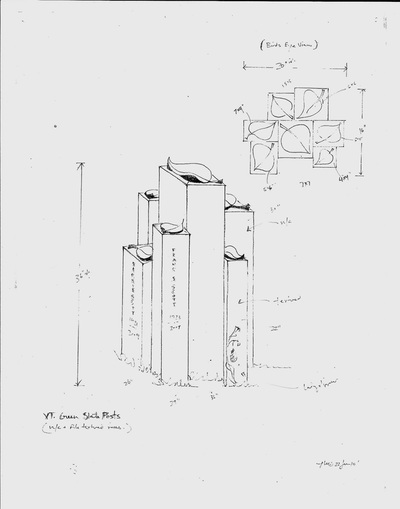 Design drawing for companion bronze memorial. 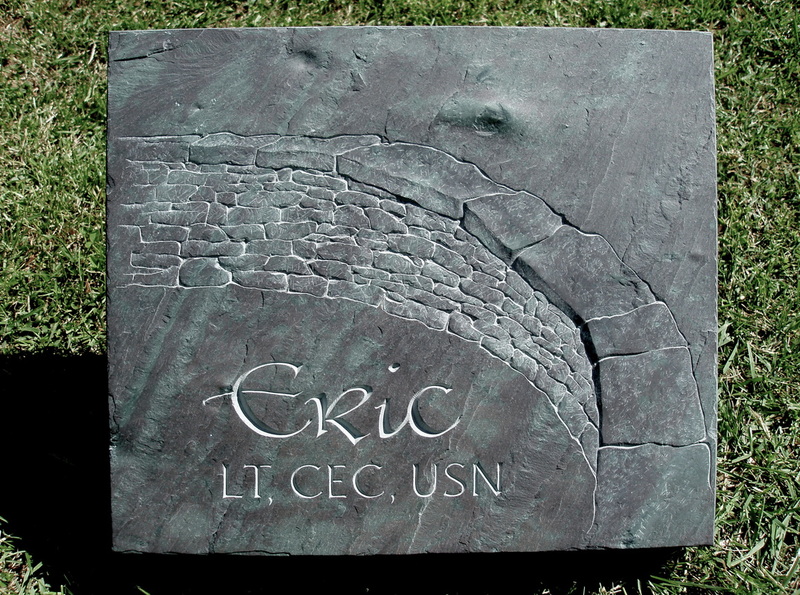 Final companion bronze memorial, 44"x 14". 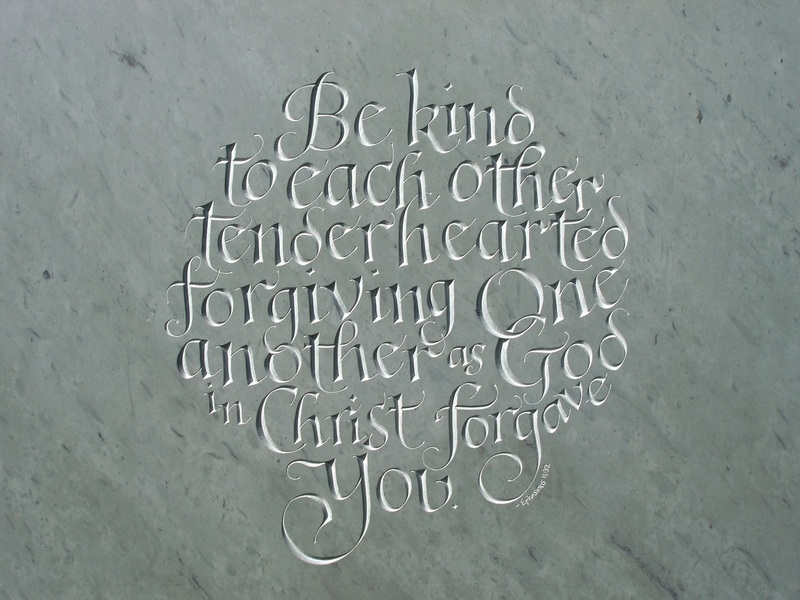 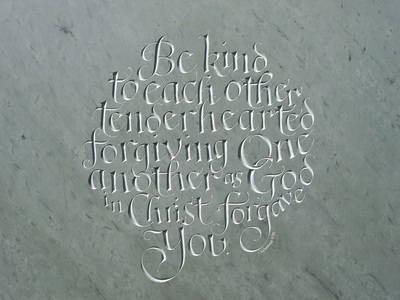 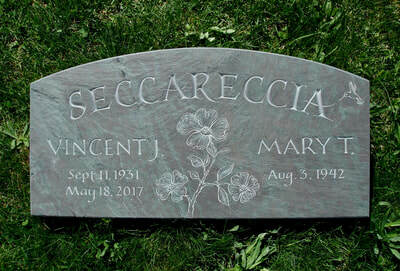 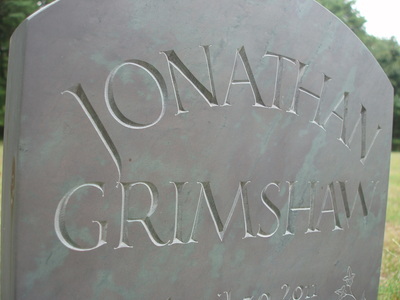 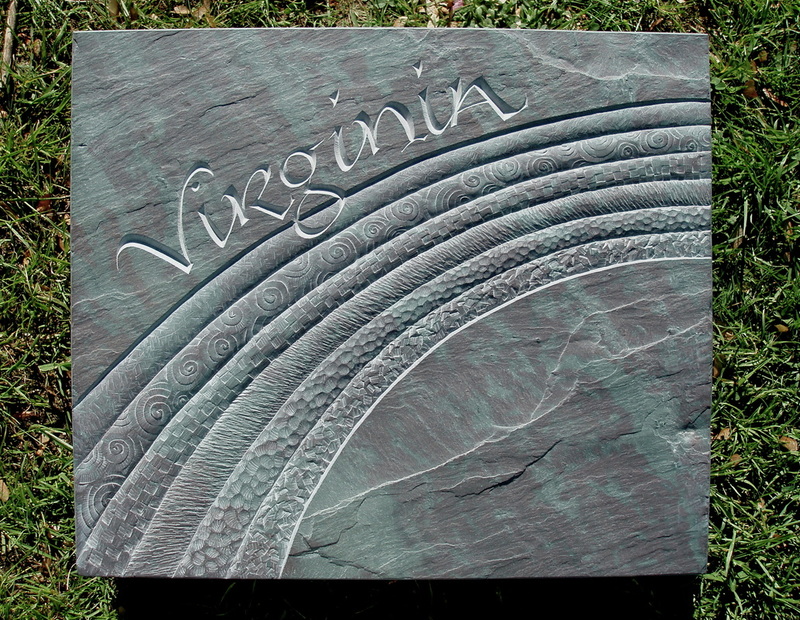 Hand carved Vermont geen slate gravestone. 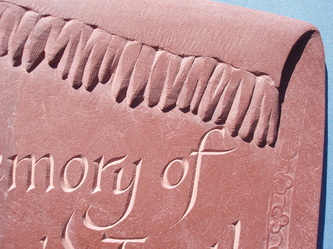 Detail of relief and lettering element on the "Chapman" gravestone. 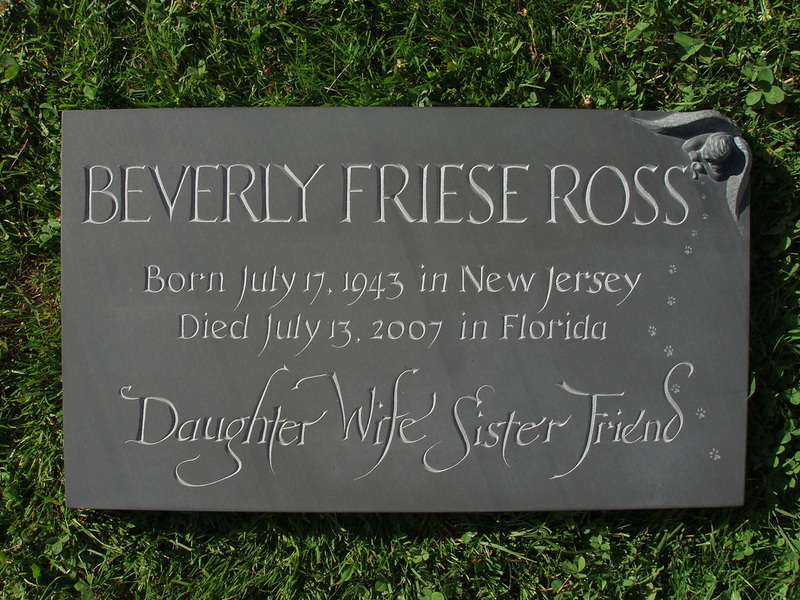 Hand carved slate gravestone with granite base. 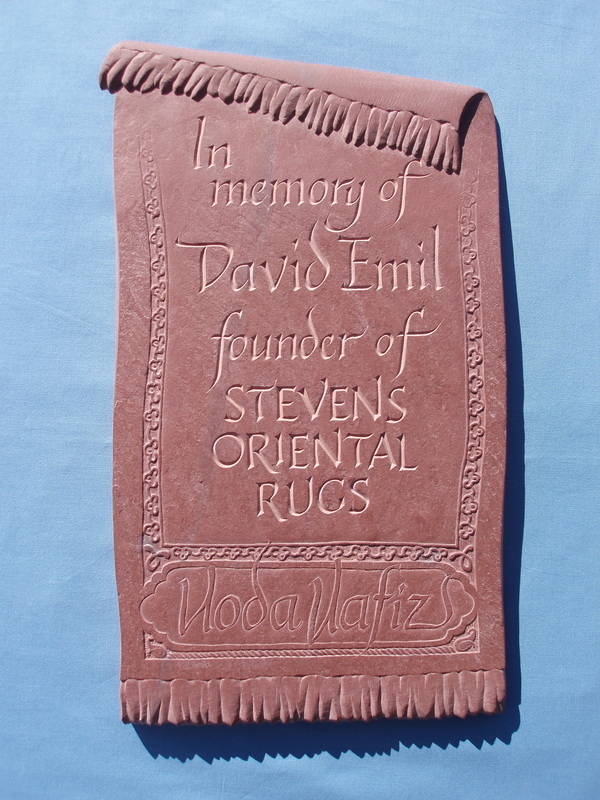 Created in collaboration with Adam Heller. 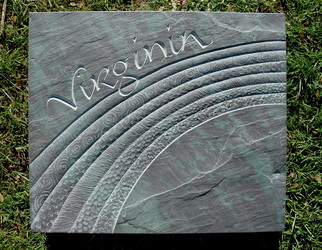 Hand carved Vermont green slate gravestone in black granite base. 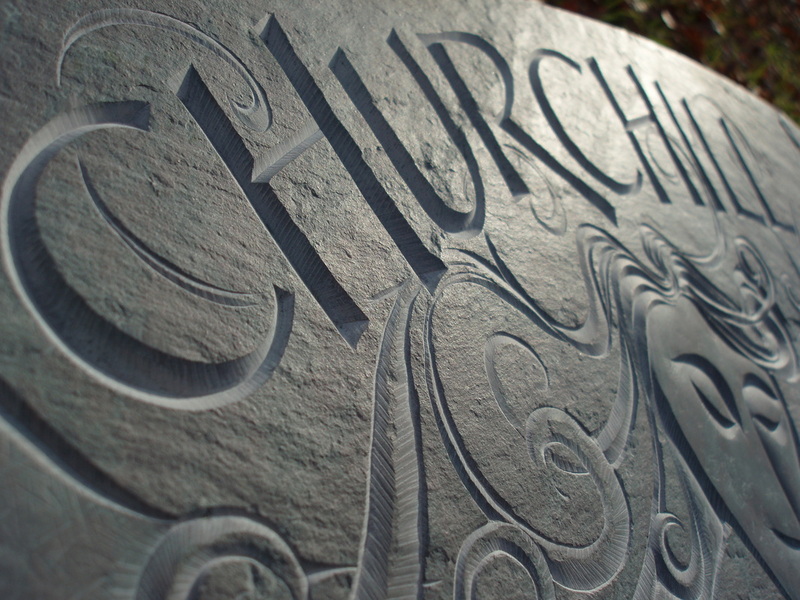 Detail of hand carved slate gravestone. 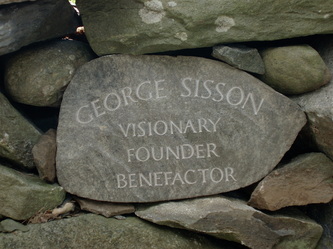 Small, slate memorial commissioned for a home. 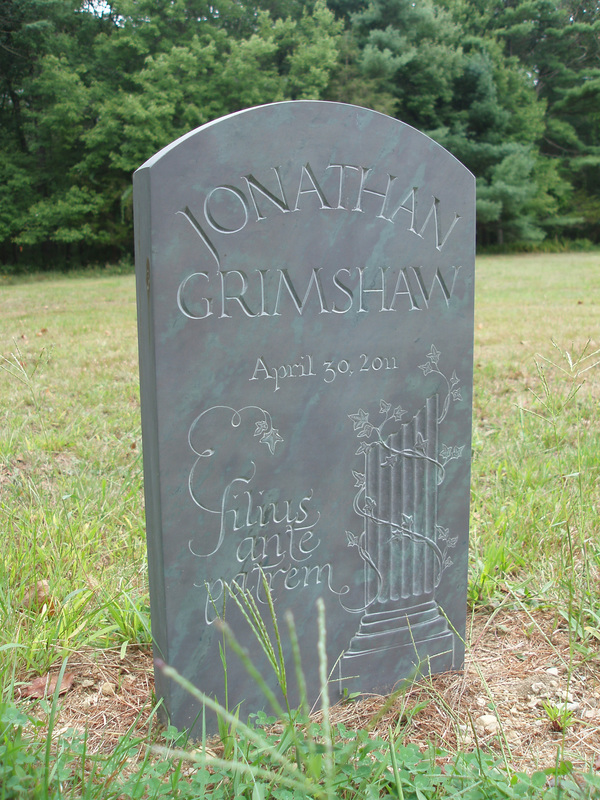 Hand carved Vermont purple/green gravestone. 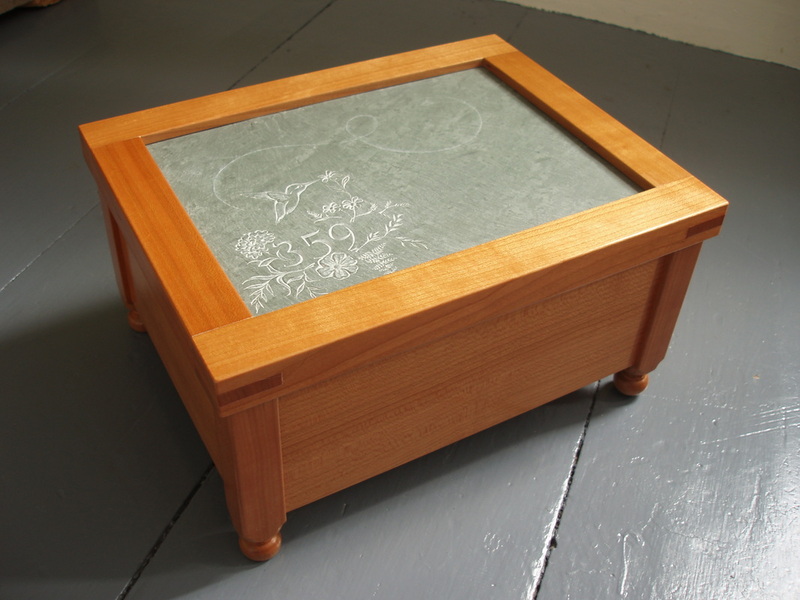 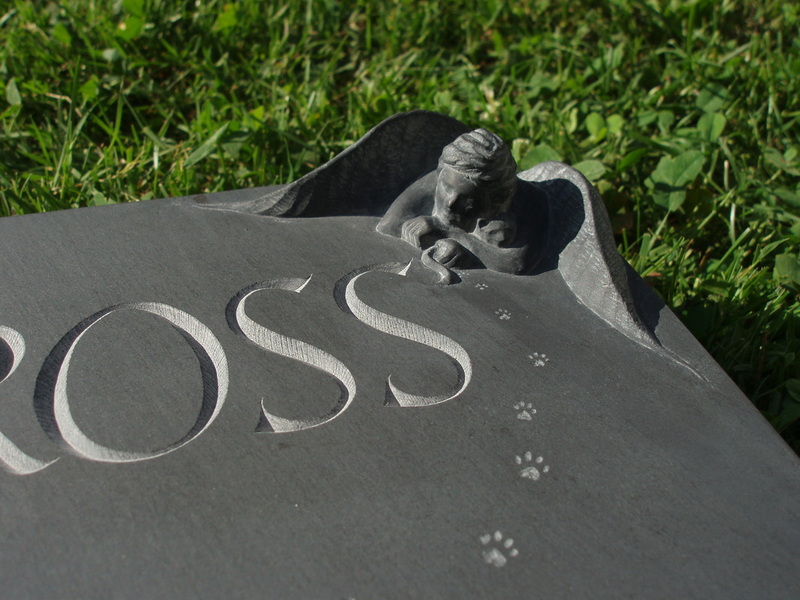 Memorial box for ashes with custom carved slate top. 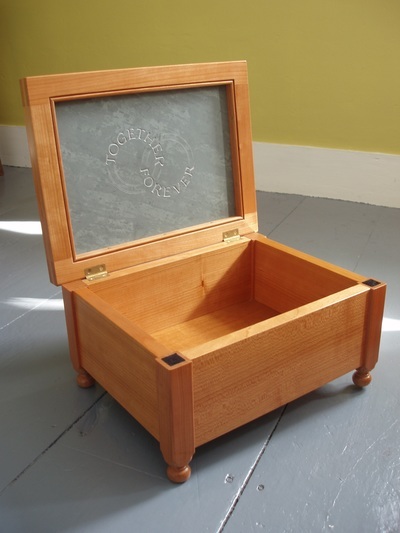 Memorial box for ashes with custom quote hand carved on the inside. 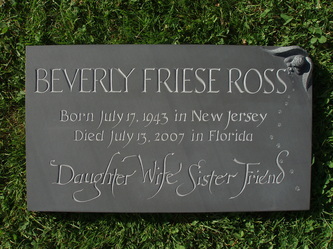 Hand carved slate gravestone for Beverly Ross. Hand carved, natural boulder memorial. 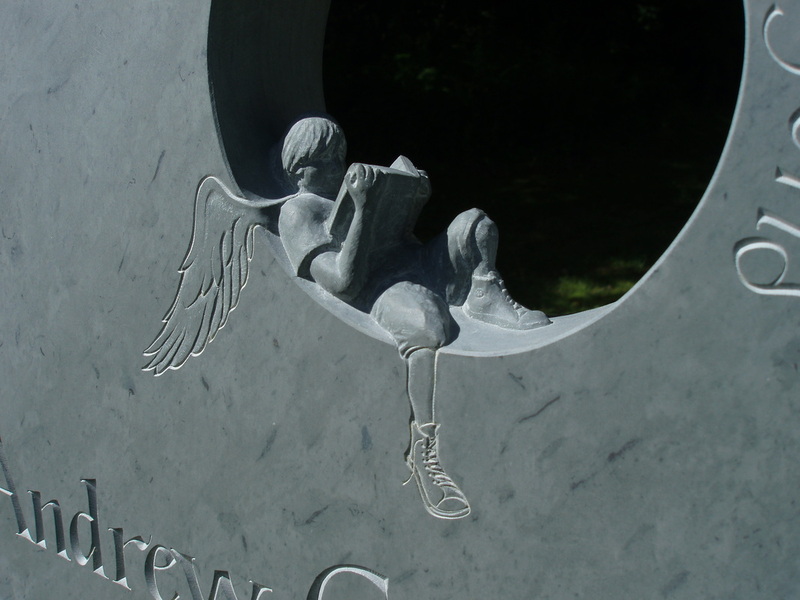 Detail of hand carved slate memorial. Hand carved slate gravestone. 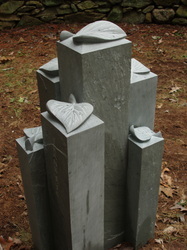 Created in collaboration with Adam Heller. 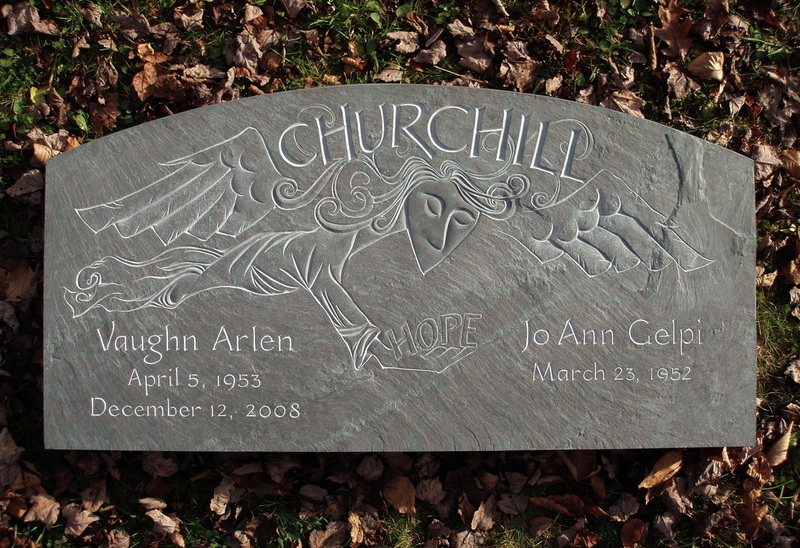 Hand carved slate gravestone. Created in collaboration with Debby Reelitz and Adam Heller. 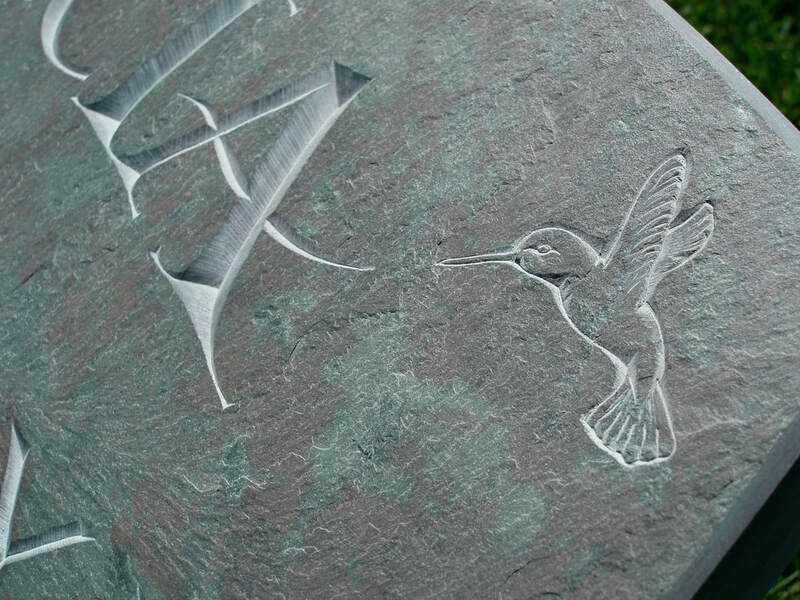 Detail of hand carved slate marker. 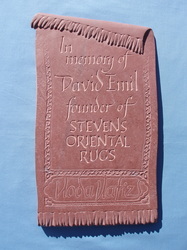 Created in collaboration with Adam Heller.